This entry was posted in Uncategorized on May 26, 2016 by bobolwig. “Stand” a play by Jim Reyland will be live on stage at the JFK High School Auditorium. The free show on Wednesday September 30th will benefit St. Louis Homeless. 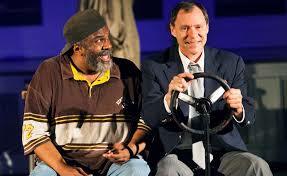 A true story of addiction and grace, friendship and redemption that will move audiences to laughter and tears. Starring Bary Scott and Henry O Arnold, Directed by David Compton. Supporters include Kennedy High School, St. Patrick Center and The Bridge. This entry was posted in Uncategorized on September 8, 2015 by bobolwig. This entry was posted in Uncategorized on August 7, 2015 by bobolwig. Please note that our event is Cancelled. 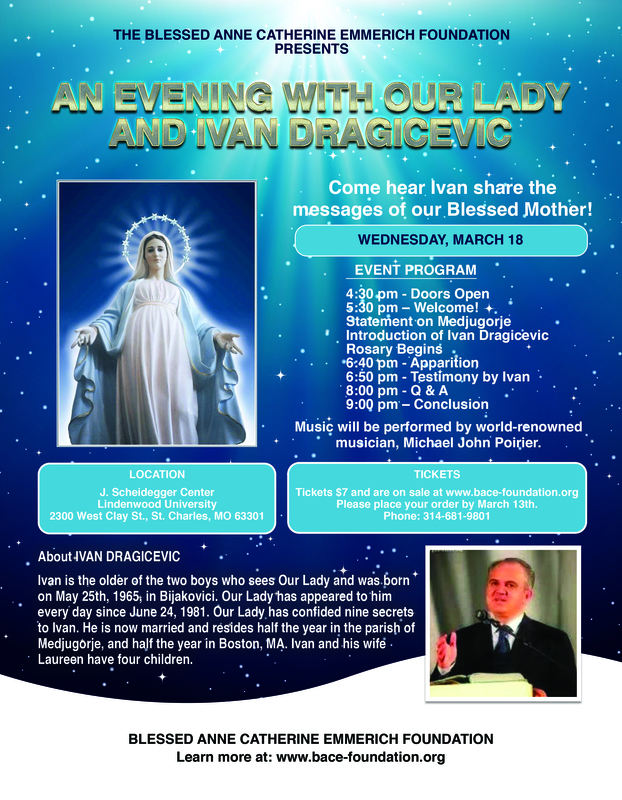 Come hear Ivan share the messages of our Blessed Mother! Music will be performed by world-renowned musician, Michael John Poirier. 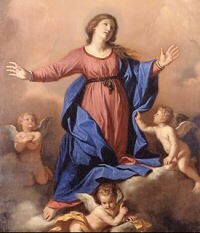 Ivan is the older of the two boys who sees Our Lady and was born on May 25th, 1965, in Bijakovici. Our Lady has appeared to him every day since June 24, 1981. Our Lady has confided nine secrets to Ivan. 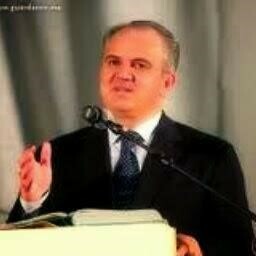 He is now married and resides half the year in the parish of Medjugorje and half the year in Boston, MA. Ivan and his wife Laureen have four children. Download a JPG Version of the brochure here. Download a PDF Version of the brochure here. This entry was posted in Uncategorized on March 2, 2015 by bobolwig. Some photos to share from last Fall’s “Entering the Holy Fire” event. Enjoy. This entry was posted in Uncategorized on February 21, 2015 by bobolwig. Thanks for visiting our website and supporting the Foundation! Thought you’d be interested in seeing an Annual Report that’s automatically generated by this site (WordPress) on the Statistics for all of 2014. Click on the link and scroll down to view! Enjoy! This entry was posted in Uncategorized on January 6, 2015 by 3333blessedannecatherineemmerichfoundation. This years invited guest speakers are… Reverend Charles P. Becker of Our Lady’s Prayer Groups – a Marian Apostolate, Mr. Jeff Jordan of Holy Wood Acting Studio – Nutrition & Fitness Coach and Theology of the Body Promoter, and Dr. Brian Gosser, MD of St. Gerard Obstetrics/Gynecology – trained in Natural Procreative Technology! Master of Ceremonies is St. Louis favorite: Mr. Zip Rzeppa, Executive Director of Mater Media! This entry was posted in Uncategorized on August 27, 2014 by bobolwig.